This article will answer many of the question about doshas, such as; what is a dosha, why are doshas so important for ayurvedic medicine, how the dosha type we are assigned at the moment of conception influences our lives and how does one balance the doshas. According to the ayurvedic science, the physical body has vital bio energies, doshas, which together with seven dhatus, tissues, and three malas, waste products, create the human body. Every person contains all three elements, but in different amounts, this mixture is called Prakriti. Our dominant dosha, is determined at the time of our conception; we are born with it and it is like finger prints, staying the same for our entire lives. Additionally it is possible have a combination dosha that consists of 2 types, such as Vata-Pitta dosha. A person would be called dualdoshic. In rare cases a person has equal qualities of all 3 doshas, making him or her tridoshic. Doshas all have their own set of properties, which give us our unique personality by determining the persons physical function, including body type, metabolism and mental capabilities such as intellect, temper, practicality and reason. The Science Of Ayurveda and its three energies vata, pitta and kapha. Any medical problem, let it be mental or physical illness is caused by the imbalance of tridosha. Hence any problem can be solved by restoring the balance in the three doshas, hence all the Ayurvedic treatments base themselves on it. Therefore in order to take advantage any ayurvedic remedy, treatment, diet or exercise plan, one must determine his or her dosha type. By knowing your dosha type, you will also discover a lot about yourself, including deceases and difficulties you are prone to. 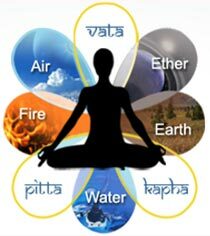 Vata consists of ether (space) and air. It’s a dosha that controls movement and change. Since nothing moves without vata, it’s considered highest of all the doshas. Vata dosha makes a person energetic, lively, enthusiastic and creative. 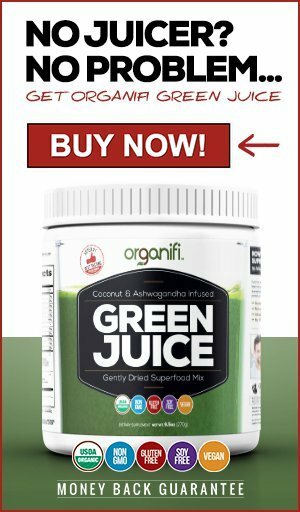 Apana Vata – Elimination of wastes, menstrural cycle and sexual functions. Read about how to balance your Vata Dosha here. 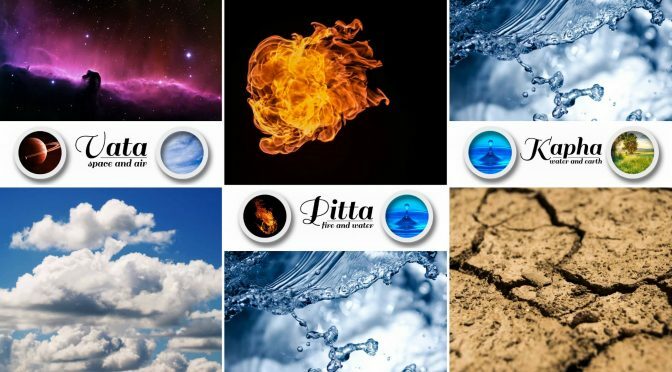 Pitta consists of fire and water. It’s a dosha that controls metabolism, digestion and energy production, the sensory perceptions and our sense of right and wrong. Its primary function being transformation. Pachaka Pitta – Digestion, metabolism for healthy nutrients and tissues, assimilation. Ranjaka Pitta – Detoxification of blood. Hair – Baldness and thinning hair is common, as is red hair. Read about how to balance your Pitta Dosha here. Kapha consists of water and earth and is the protecting force the governs the body and its structure, it holds cells together and forms muscles, fat, bones and sinews. Kapha makes a person physically slow, steady and sturdy, but at the same time they tend to be fantastic human being as their nature is very loving and loyal. Read about how to balance your Kapaha Dosha here. Dual doshic people have almost equal amount of characteristics from two doshas. It is rather common to have this prakriti. People with this dosha are energetic and make excellent intellectual leaders. It is difficult to stay in balance since the individual is periodically experiencing many of the opposites. Read about how to balance your Vata Pitta here. People with this dosha are prone for weight gain, constantly being cold, suffer from water retention and difficulties of waking up. They also get sick lot more than others. Read about how to balance your Pitta Kapaha Dosha here. These individuals are prone for serious indigestion problems due to combination of food cravings and weak digestion. tend to carry all the problems in the world on their shoulders. Conflicts arise with the need for excitement, seeing new places and meeting new people and yet being creature of convenience and stuck in routine. Read about how to balance your Vata Kapaha Dosha here. It’s rare for a person to have all 3 doshas prominent. This combination is a very sturdy and solid. 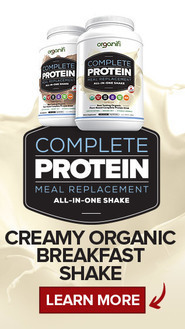 These individuals tend to be very healthy and they can easily adapt to seasonal and environmental and dietary changes. Read about how to balance your tridosha here. Your recommended doshic diet will contain tastes to balance out the elements of your prominent doshas. Yoga and yogic breathing exercises are a powerful way of balancing your doshas. Each dosha has their own pacifying asanas and pranayamas. Ayurvedic daily routine should include a cleansing of the whole body including the teeth and tongue by brushing the teeth and practicing coconut oil pulling, bathing and evacuating the bladder and bowels. Additional cleanses can include seasonal fasts or daily intermittent fasting with elimination of wastes from the bowels, juicing, drinking teas and infused water. Read more about the ayurvedic tradition of cleansing the body here. Massages, self massage or various ayurvedic therapies with essential oils specifically chosen for your dosha type is a great way of balancing your doshas. Therapy tools such as kansa wand and marma tools are often used to enhance the results. Read more about the variety of ayurvedic treatments here. Additionally it’s important to establish a daily, weekly and seasonable routine. Daily routine should be a set time for rest, waking up, cleansing routine, meal, meditation and exercise times. Weekly routine should include things such as potential fasting days and hair care. Seasonal routine should be thought for holidays, celebrations and changes in weather and natural light. Read more how a healthy ayurvedic routine can balance your day. I hope you have enjoyed my overview of the ayurvedic doshas. There is so much to tell, since this is one of the basic concepts in ayurveda, on which all the healing bases itself on. I will keep on adding articles on this subject and update this one with links to them accordingly. Please let me know if you have any questions related to the doshas, I will be happy to help the best I can.